With our recent redesign we are excited to bring a few more lifestyle elements to GWS including home inspiration! 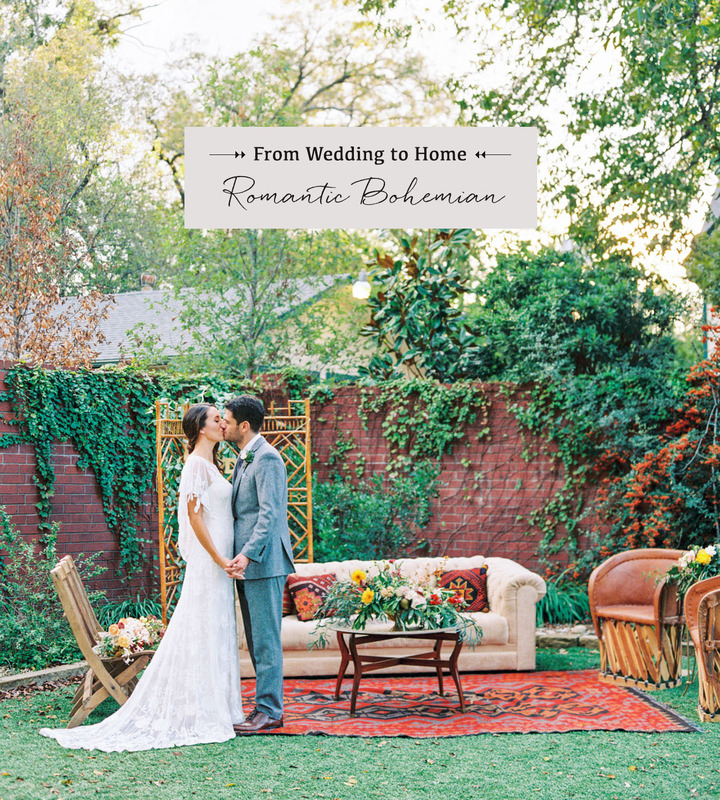 We talk so much about designing your wedding day with your style as a couple and we couldn’t stop thinking about how you can bring that same style into your home – or just get inspired by a wedding and bring some of those elements into your home! With this fun series, we’ll show you exactly how to bring your fave design elements into your home along with curated shopping guides so you can easily get the look yourself! Another detail we loved? 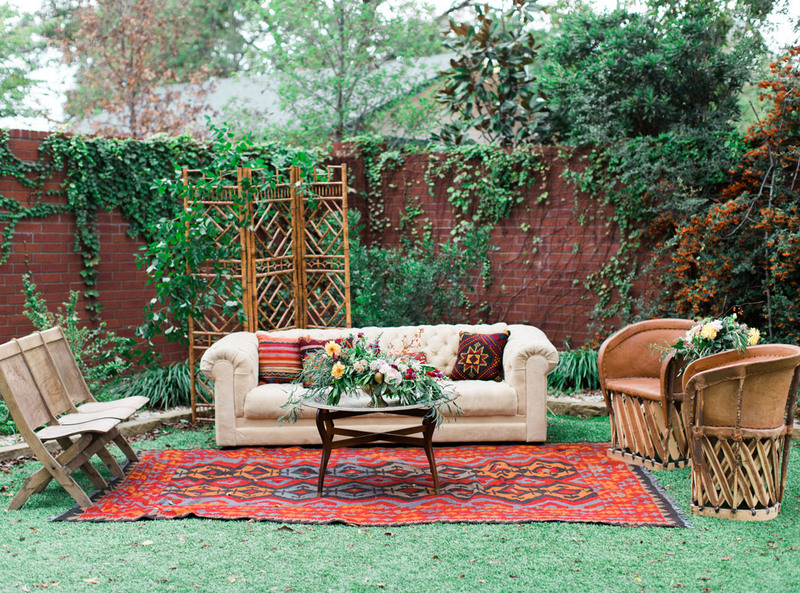 The bright kilim rug and great lounge area they had! We love how they used mismatched furniture pieces and lots of pillows with different prints. 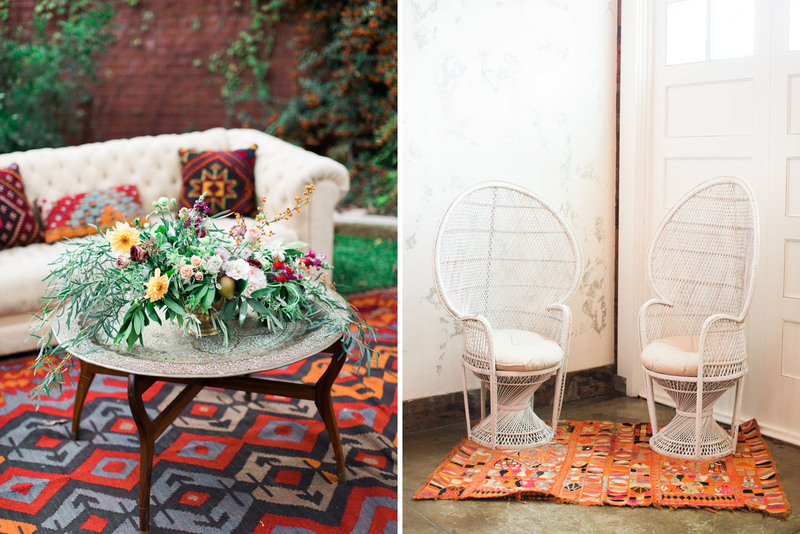 Check out our shopping guide below to bring some romantic boho into your own home! And we’d love to hear, do you like this feature? What style would you like to see next! Such a fun idea! 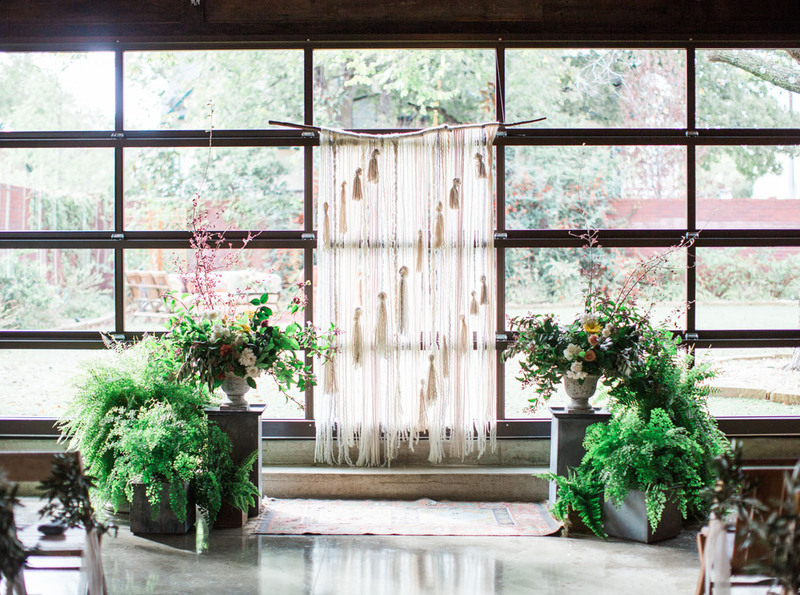 Loved this wedding and I’ve been looking for some fun pillows like these too! !